Everyone is a Kilowatt Mug Club member on Tuesdays! Stop by our Kearny Mesa or Ocean Beach Tasting Rooms every Tuesday and mention "Mug Club Tuesdays" to the beertender to enjoy a 20 ounce pour for every 16 ounce pour purchased. Want more variety? Swap out the 20 ounce pour for a 16 ounce pour and a 4 ounce taster. 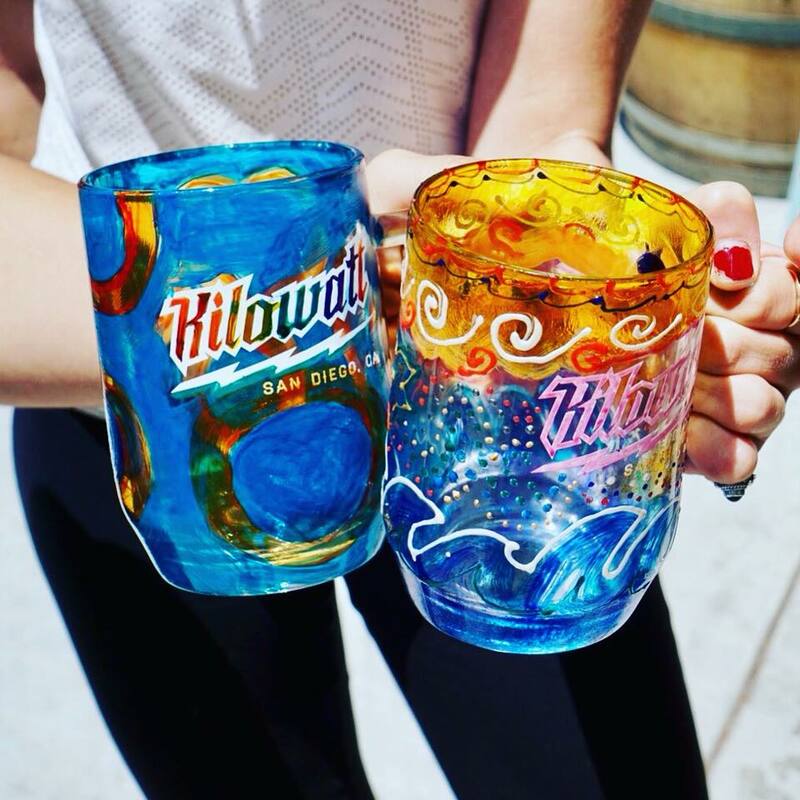 Join the Mug Club and attend our next Beer Mug Painting Class to drink out of your own custom painted mug everytime you visit Kilowatt!